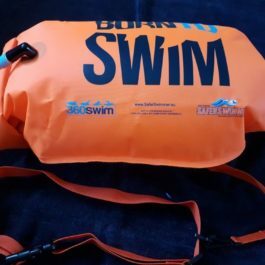 5km swims in Sydney supported by NSW Swimming is the best way how to introduced open water swimming for public swimmers. In 2017 Swimming NSW joined forces with some of Sydney’s most iconic 5km open water events to create the Summer Swim Leader Board. Swimmers earn points by competing in one or all five designated swims. At the last event, Swimming NSW announces the category winners. In 2017 many Vladswim swimmers participated in these 5km events and won or placed in the top five of their categories. Sand Sea Festival new ocean swim in Huskisson, Jarvis bay. The most beautiful location in South of the Sydney. The swim is new in leader board series and is the best time to try first 5km for all swimmer and beginners. In 2017 Swimming NSW organised their first open water event for the public. Previously, participants had to be registered with a swimming club. This fresh water swim is held at the Penrith Regatta Centre an hour from Sydney. The Coogee to Bondi or 5 Beaches swim starts from Coogee and finishes on Bondi beach. Conditions for this 5km swim can be rough as you pass some of the eastern suburb’s most popular beaches. Thanks to swimming legend Neil Rogers, this swim gets more popular every year. 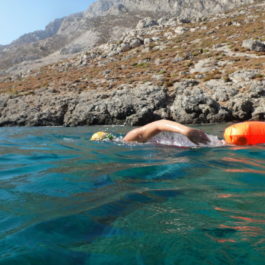 The Vladswim Challenge is held one week before Christmas at beautiful Chinamans Beach. Swimmers start at Chinamans Beach and swim around the iconic inflatable Santa buoy at Balmoral. The 5km race sees swimmers do two laps of this course. The water temperature is between 19 and 20 degrees with easy surf conditions in the harbour and a relaxed festive atmosphere. 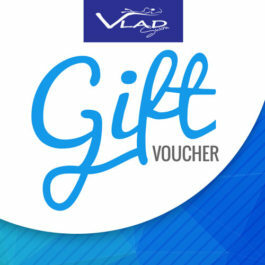 The event is run by Vlad and Viktoria from Vladswim. This swim is held on Australia Day, with swimmers doing two laps of a beautiful course in Rosebay. The swim has calm harbour conditions and beautiful views. Thanks to Andrew Reid the event is well organised and increasingly popular. Held in Manly on Sydney’s North Shore, this swim starts from Shelly Beach and runs along to Queenscliff before finishing on the south end of Manly Beach. This beautiful location makes the swim very popular. This final 5km swim is run by the Sydney Morning Herald. Balmoral found racing swim the swim is organized by Balmoral Beach Club Events and the swim starts from Balmoral beach. The swim races money for Children’s Cancer Institute. It is last 5km swim in season. 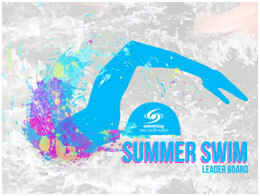 The Summer Swim Leader Board provides a new and exciting opportunity for open water swimmers. Anyone can sign up for our specific preparation program and be ready for these 5km events. You will have lots of fun, learn about yourself, achieve new swimming goals and meet new friends. Get out of your comfort zone and take the first step to adventure. It’s easy. You will participate in three to four pool sessions and one open water swim of 3 - 5km per week. You will benefit from the expertise of our coaches who provide constant feedback on your progress. 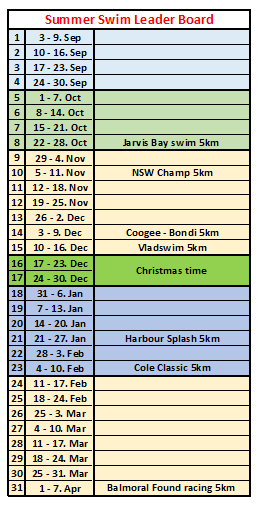 Your preparation starts from September and covers 31 weeks of training including all seven swim events. The next seven weeks from November to December will focus on quality and high intensity. In January and February, a specific six-week plan will focus on preparation for the next two 5km events held at the end of January, February. The last 8 weeks we will focus on maintaining weekly millage and improving speed to the last swim in April. The plan is set up for four different swim groups. Every group is designated for different swimmers level. We will create three training groups. Group A - for swimmers taking on a 5km event for the first time. Your plan will focus on technique, pace and intensity to increase overall endurance. This will enable you to swim in consecutive 5km events. We want you comfortable enough to enjoy these great events in any surf conditions. Group B – for swimmers who competed in 5km swims last year, want to improve their strength and endurance and complete all five swim events in the coming season. Group C – for experienced and elite swimmers who want to improve their times in 5km events and possibly place. Your plan will help you to improve your overall speed and importantly your ability to maintain and increase pace at the end of these races. Elite swimmers will focus on maintaining high intensity throughout races.